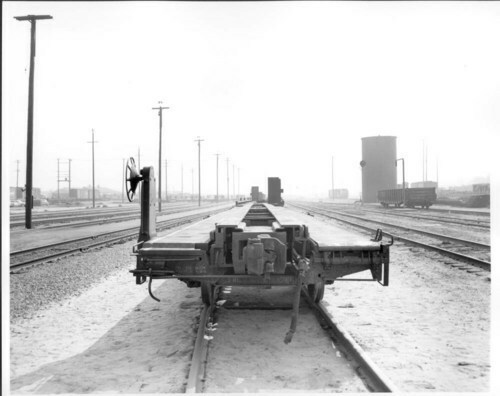 End view of an Atchison, Topeka & Santa Fe Railway's 86' 6" TOFC flat car in an unidentified rail yard. The 86' 6" TOFC cars were built in 1961. Also visible are utility poles and power lines, and unidentified rail cars and structures in the background.